Teeth are amazing - the product of half a billion years of evolution. They provide fuel for the body by breaking apart other living things; and they must do it again and again over a lifetime without themselves being broken in the process. This means that plants and animals have developed tough or hard tissues for protection, and teeth have evolved ways to sharpen or strengthen themselves to overcome those defences. And just as different jobs require different tools, animals with different diets have different shaped teeth to deal with the variety of foods that they eat. 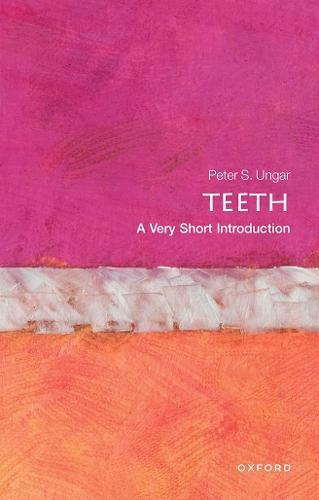 In this Very Short Introduction, Peter S. Ungar, an award-winning author and leading scientist, presents the story of teeth. Ungar outlines the key concepts, including insights into the origin of teeth and their evolution. Considering why teeth are important, he describes how they are made, and how they work, including their fundamental importance in the fossil record. Ungar finishes with a review of mammal teeth, looking at how they evolved and how recent changes to our diet are now affecting dental health. ABOUT THE SERIES: The Very Short Introductions series from Oxford University Press contains hundreds of titles in almost every subject area. These pocket-sized books are the perfect way to get ahead in a new subject quickly. Our expert authors combine facts, analysis, perspective, new ideas, and enthusiasm to make interesting and challenging topics highly readable.